We have a philosophy at ManageWP, which is very much focused on personal and team growth. We encourage each and every one of our employees to learn, and we support their career path. It makes for motivated, dedicated people, who come to work every day with enthusiasm, drive and can’t wait to help our customers. Here are each team’s biggest challenges and best moments in 2017. In preparing for battle I have always found that plans are useless, but planning is indispensable. – Dwight D. Eisenhower. Many things didn’t go in the way we planned, but the planning process and continuous learning prepared us to face reality. The key learning point for this year would be to accept that no plan is perfect. 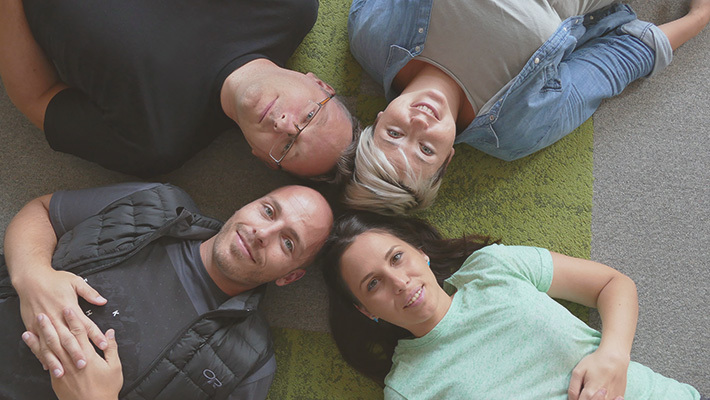 Since the GoDaddy acquisition, our Customer Happiness team has been growing, and in 2018 we are expecting to double it in size. The 2018 team resolution is to assure that all questions go to the right team members and that our users get the answer in the most efficient way. He made a point to tell me that the biggest learning curve always comes from our customers, each interaction teaches us something valuable. The marketing team has made some big internal changes in 2017. Adopting the Agile & SCRUM philosophy made us much more effective in what we do, and how we do it. The biggest challenge for marketing has been going from a small self-sufficient team to learning to work as a part of a large corporate company, across multiple time zones. We had to relearn the way we do things, meet people who know people, and start planning our budget well ahead of time. We learned to be more thorough in our planning, making us that more efficient in execution. For 2018 we plan to abandon any sales oriented metrics and fully commit to NPS as the measurement of success. It’s all about you, our users. Design is all about making our product easy and enjoyable to use, and this year they have a new team member. Design added a brand designer, who will be making huge visual improvements for you all. Their biggest challenge was making smart design decisions. We learned not to jump to our Sketch art boards right after we get a product request, but to collect all of the data, do our research and talk to the users. We are establishing a UX Discovery process, which will help us see the bigger picture just before we start creating mockups. Our engineering team is the biggest team in the Belgrade office, and it’s the team that needed to be integrated first with global teams at GoDaddy. We have watched them work tirelessly in order to learn new processes, and become part of the bigger engineering teams across the world. We are very happy about the transformation that has happened within the team. We had incremental improvements throughout the year, some a bit bigger, but most really small. What’s really amazing is the result that all of those changes produced. This team, compared to this time last year is much more mature, can deliver with much greater quality, and is a lot more organized. Our new colleagues at GoDaddy, especially our manager, have really helped us improve with their knowledge and experience. The biggest challenge has been scaling the team and distributing knowledge. As the unsung corporate heroes. Operations take care of all of us here at ManageWP and keep the whole company afloat. They handle the team growth, hiring, take care of the company culture, events, equipment, as well as all of our worries and questions. For them doing that and scaling the company was the biggest challenge of the year. Before we transitioned from a small, 30 people company, to a corporate division, we had been exclusive when it comes to how we do things, and we thought we knew best. After we had started our corporate journey, we realized we could actually ask for help and trust our new team when we were in need of expertise. We are still Navy Seals, though – keeping our team the best in the world. Overall, we have been able to grow gracefully, and learn from our mistakes, which has helped us make smart decisions. We hope that we continue to develop in this way in 2018, and we ask you to tell us when we slip up, because we need all the help we can get from our customers!